A tooth can be indicated for a crown or "cap" if it is severely broken down, mostly filling, endodontically treated, or fractured. We do our crowns in a two step process where we prepare and temporize your tooth first. Then your impression is sent to our Certified Dental Laboratory for crown fabrication. After two weeks at the lab, your crown is ready to be cemented onto your prepared tooth. All of our crowns are made from porcelain to achieve natural aesthetic results. We can match any tooth color, hue or shade! A dental bridge is also referred to as a fixed partial denture. This means that it replaces one or multiple teeth. In this case, two or more teeth are prepared for the bridge, an impression is taken and sent to the lab. 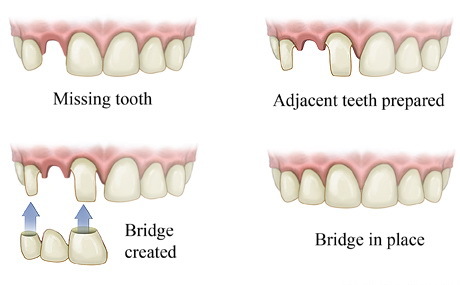 The bridge is inserted with dental cement, just like a crown. It will be very important for you to maintain your new bridge by flossing around and under the pontic area (where the missing tooth is). Our hygienists will help instruct you on how to keep your bridge in top shape for years! 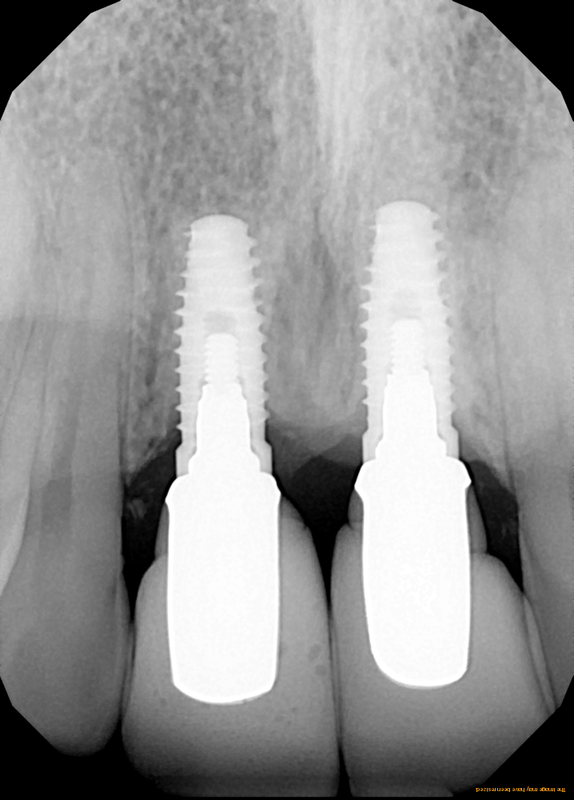 Implants can support a single tooth "crown" or a multiple tooth "bridge". 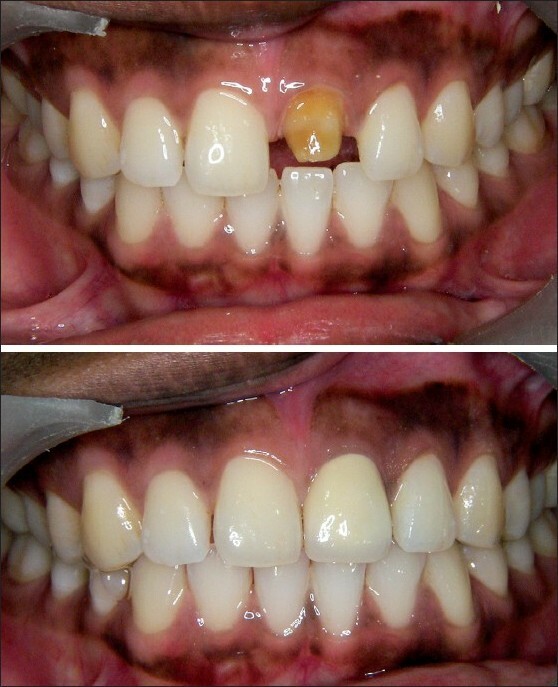 The fabrication process is similar, but can almost always be done without anesthesia (novocaine). The crown is either cemented or retained with a screw to the abutment, which joins it to the implant body. Our implants are placed by our periodontist friend Dr. Jeff Felzer. Dental implants are the best technology available to our patients for single or multiple tooth replacement. We highly recommend implants due to their success rate, longevity, aesthetics, and cost to benefit ratio.